LOS ANGELES – September 21, 2017 – – The Sanitation Districts of Los Angeles County (Districts) have selected Bulk Handling Systems (BHS) to design, manufacture and install a new materials recovery system at the Districts’ Puente Hills Materials Recovery Facility (PHMRF). The system will process both commercial and residential streams – including dry commercial waste, commercial Municipal Solid Waste (MSW), multifamily MSW, and Single Stream recyclables – and increase the Districts’ processing capacity to 600 tpd. The system provides the flexibility to process various input streams while maximizing recovery and end-product quality. The high-tech equipment is highlighted by the inclusion of a Max-AI™ Autonomous QC (AQC) in a quality control role on the PET that is recovered by the system’s NRT SpydIR®-T optical sorter. Max-AI is an artificial intelligence developed with deep learning neural network technology, and is able to recognize materials similar to the way a person does. 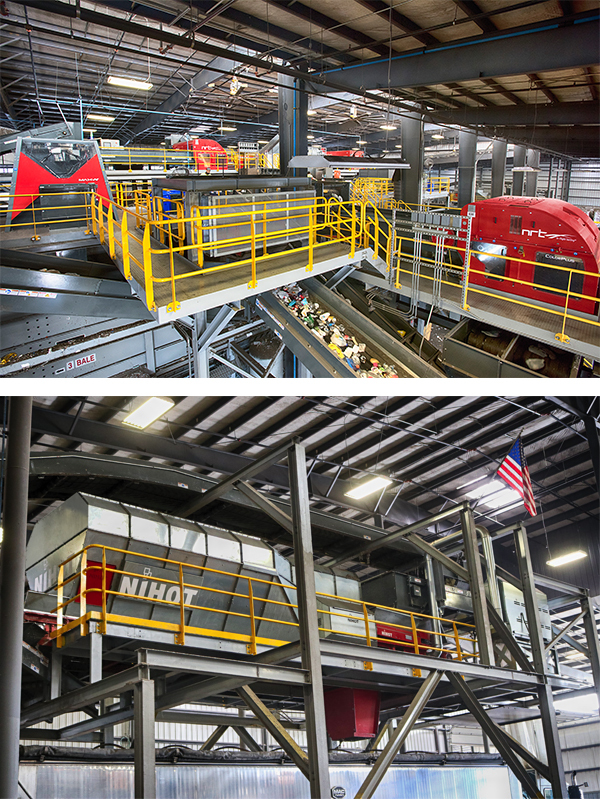 Max targets non-PET items, including non-California Refund Value (CRV) PET, which the AQC’s robotic sorter removes at levels that consistently outperform manual sorting. The demand to increase the quality of fiber will be addressed through optical sorting technology, including a NRT FiberPure™ optical sorter that recovers clean mixed paper. 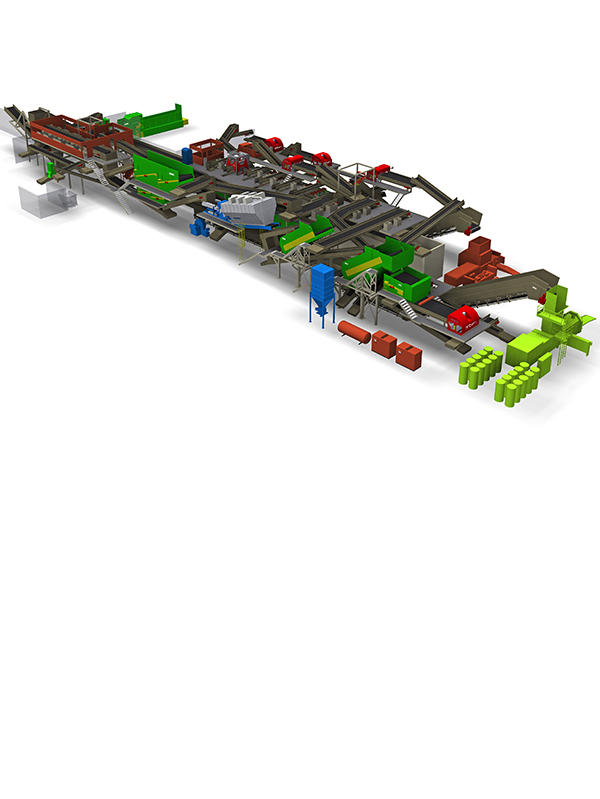 Another FiberPure optical sorter recovers the smaller and increasingly prevalent cardboard in the system. 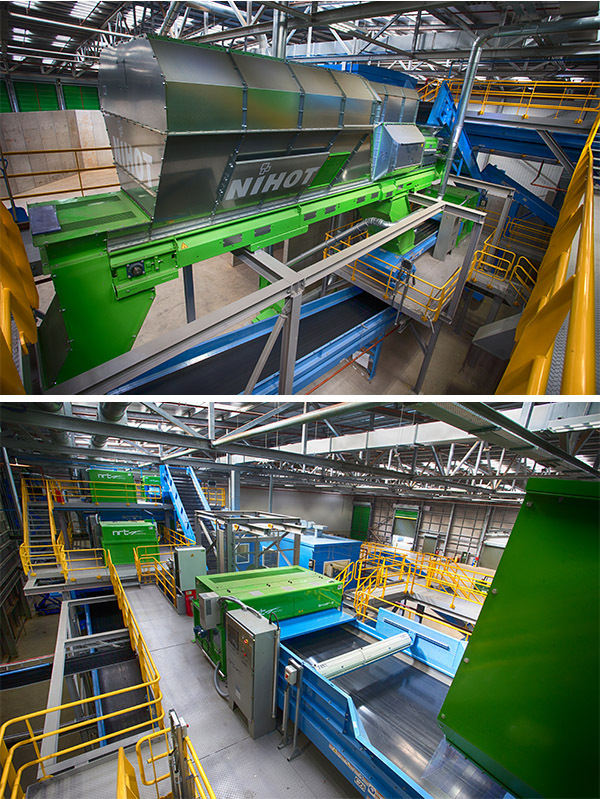 The latest AI, robotic and fiber optical technologies add to BHS’ mixed waste recovery capabilities, a patented process that has been implemented throughout the world including at several operational facilities in California. The process includes BHS metering and bag opening technologies, Tri-Disc™ screens, Nihot air density classification and NRT In-Flight Sorting® optical technology. 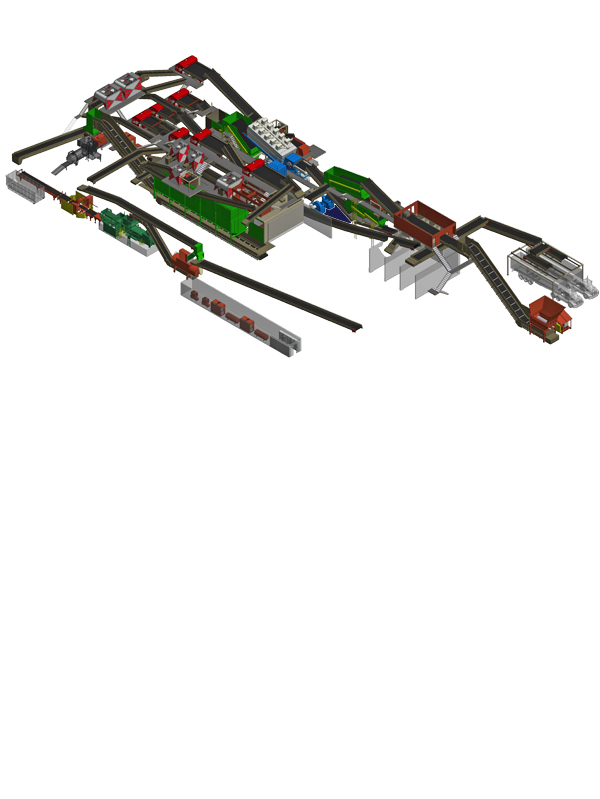 The PHMRF design includes the built in flexibility to run several material types on the same line, from dry Single Stream to organics-rich MSW, and features the technology mix that has proven to deliver high rates of throughput, recovery and uptime. The Districts operates several facilities that provide comprehensive solid waste and recycling services to cities, businesses and residences throughout Los Angeles County including the PHMRF, which is located in an unincorporated portion of the County. The PHMRF assists the metropolitan area in meeting its waste diversion requirements under California law while also providing for cost-effective transfer of municipal solid waste to landfills. The PHMRF is permitted to accept a maximum of 4,400 tons per day (TPD) and a maximum of 24,000 tons per week of waste. The PHMRF is permitted to receive, process and transfer waste and recyclable materials 24 hours per day, Monday through Saturday. Currently, however, the PHMRF only receives waste from 4:00am to 5:00pm on Monday through Saturday and operates 24 hours per day, Monday through Saturday. 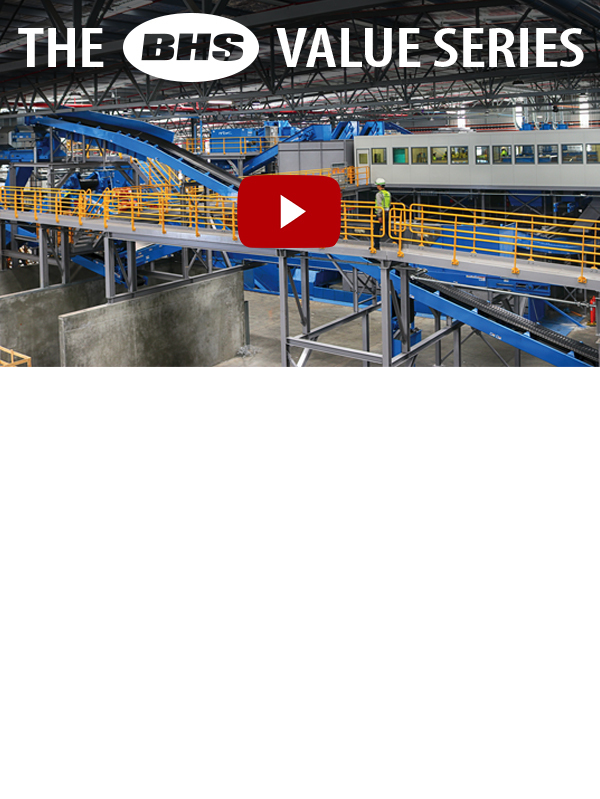 Headquartered in Eugene, OR, BHS is a worldwide leader in the innovative design, engineering, manufacturing and installation of sorting systems and components for the solid waste, recycling, waste-to-energy, and construction and demolition industries. Wholly-owned subsidiaries include Nihot (Amsterdam), NRT (Nashville, TN) and Zero Waste Energy (Lafayette, CA). BHS is also the home of Max-AI™ technology, a breakthrough artificial intelligence that identifies materials, makes intelligent decisions and directs equipment such as robotic sorters. Clients around the globe choose BHS because of its experience, dedication to cutting-edge technology, quality construction and durability, and unmatched customer service. BHS has built some of the largest and most durable MRFs in the world – and they are achieving the highest throughput, recovery, and purity rates in the industry.